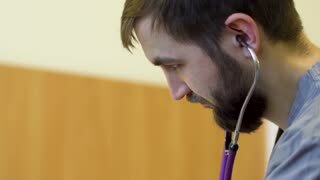 Doctor listening to heart with stethoscope. Old granddad senior doctor listens with stethoscope something in the air. Grey isolated background.